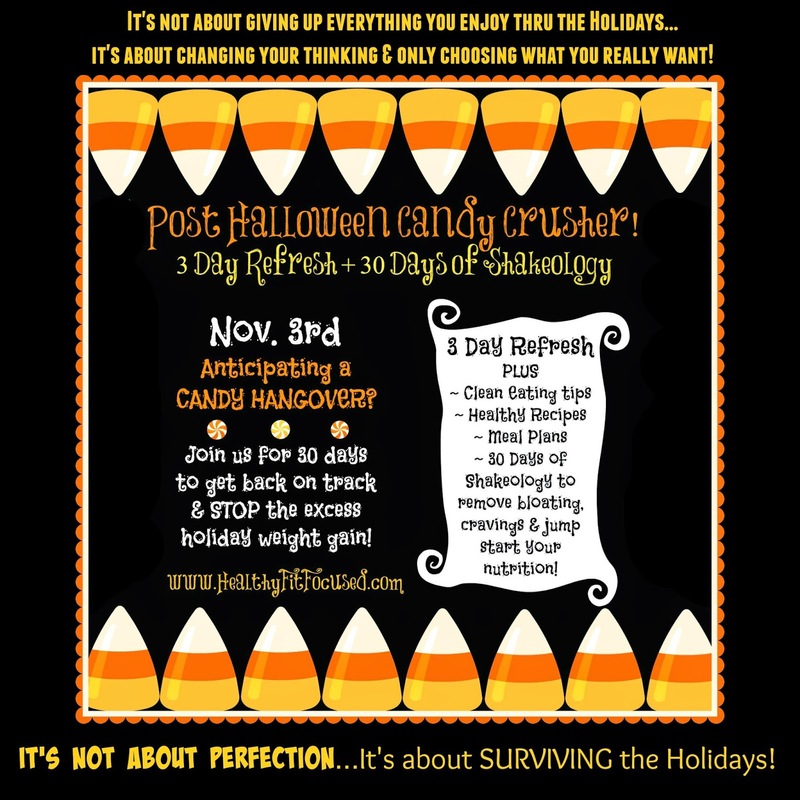 Healthy, Fit, and Focused: Halloween Candy DETOX & The 3 Day Refresh!! Halloween is ONE short week away! Can you believe it? We are officially into the season of holidays, one right after the other. Which also means TONS of TEMPTATIONS!!! It starts off with the loads of candy with Halloween and continues with mounds of food for Thanksgiving and then on to Christmas with more food and Christmas cookies galore...not to mention the snacks and treats in every office and teachers lounge!! We literally can't get away from it! It's no wonder why Americans will gain on average around 5-8 lbs between now and the end of the year! Do you want to fall into that statistic?? OR...do you want to start off your season the right way, learn to enjoy your special treats and holiday fixings in moderation and come out of this season maintaining your weight? It's not about giving up everything you enjoy thru the holidays, it's about changing your thinking and only choosing what you really want! Post Halloween Candy Crusher, 3-Day Refresh with Shakeology and Clean Eating! So what is this Candy Crusher all about? Well, starting on November 3rd we will start the 3 Day Refresh and then move straight into 30 days of Shakeology and Clean Eating. 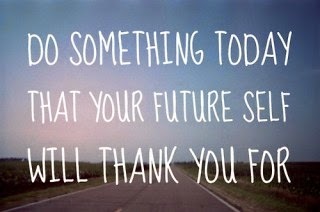 My hope for you is that you can have the tools necessary to stop the excess weight gain often put on this time of year! Why not start NOW instead of January 1st watching what you put into your mouth. You'll learn how to successfully get through the holiday season, not by being "perfect" or not able to enjoy your favorite foods, but how to survive the holidays and be able to pick and choose what you love most! So what is the 3 Day Refresh? The Refresh is a Team Beachbody Product that is meant to be a healthy alternative to cleanses that are on the market that really don't contain nutritional value. For example, the juice cleanses, the various fasts, extreme cleanses, they really aren't the best option for you. The Research and Development team really wanted to create a product that gives an alternative to these cleanses that will provide proper nutrition and was safe and effective at helping you with rapid weight loss! What comes with the Refresh Kit? 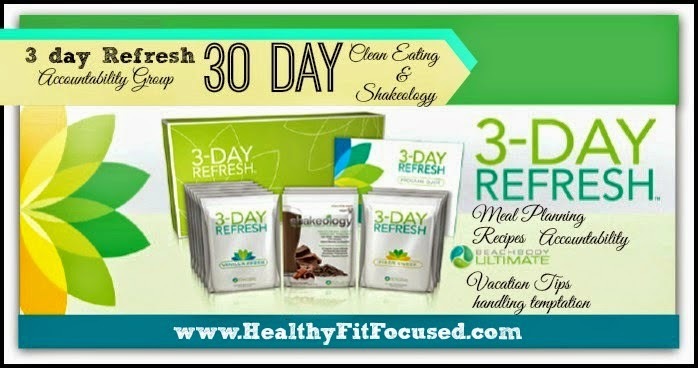 With the basic Refresh kit you get 3 Shakeology packets, 3 packets of the Fiber Sweep, 6 packets of the Vanilla Refresh, a nutritional guide and program manual. How do you do the Refresh? You drink a Shakeology Shake for breakfast with a serving of fruit from the book. You get to have the Fiber Sweep as your mid-morning snack and water. At lunch you'll have the Vanilla Refresh Shake with a serving of veggies, fruit and good fat. For Dinner the Vanilla Fresh Shake with a meal choice from the nutritional booklet!! You can drink green tea and water but avoid all processed foods, canned fruits and veggies, sweeteners and dairy. You are truly cutting back to the basic to cut the bloating and help you lose weight!! Then from there we will head straight into learning how to keep your success of the 3 Day Refresh and start clean eating and drinking Shakeology every day for 30 days! Workout is optional and suggested during these 30 days. Even getting out there and doing 20-30 minutes of walking would be great!! Are you ready to take control of your Holiday Season and start it off right? Don't let it come to the end of the year and find that you are 8 pounds heavier than you were right now! Join me in the POST HALLOWEEN CANDY CRUSHER 30 Day Group!! To be a part of this group please fill out the application below. Group starts November 3, 2014, don't delay! !